Through NC Farm School, alumni gain more than insight into the ABCs of agricultural business planning. They also forge new networks and new friendships. Kristi Folta’s dream of becoming a farmer started when she was around 6 years old, growing up in the Chicago suburbs. Now, thanks in part to her NC Farm School mentor, she’s well on her way, running Artket Acres, a new goat farm in the suburbs of Charlotte. 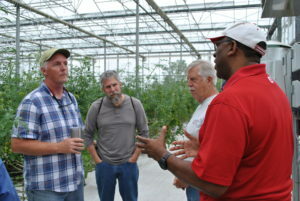 Folta says that building connections and having a mentor was one of the best benefits of participating in Farm School. The school, a partnership of NC State University’s Department of Agricultural and Resource Economics and North Carolina Cooperative Extension at NC State, aims to increase the number of sustainable and economically viable farms in North Carolina. 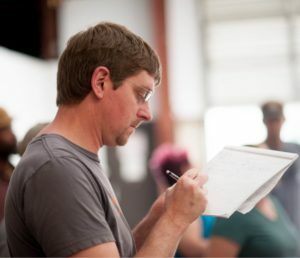 Derek Washburn, an Extension associate who helps coordinate NC Farm School, explains that it teaches aspiring or beginning farmers to put together solid business plans, while allowing established farmers learn if they can add a profitable new enterprise to their farms. 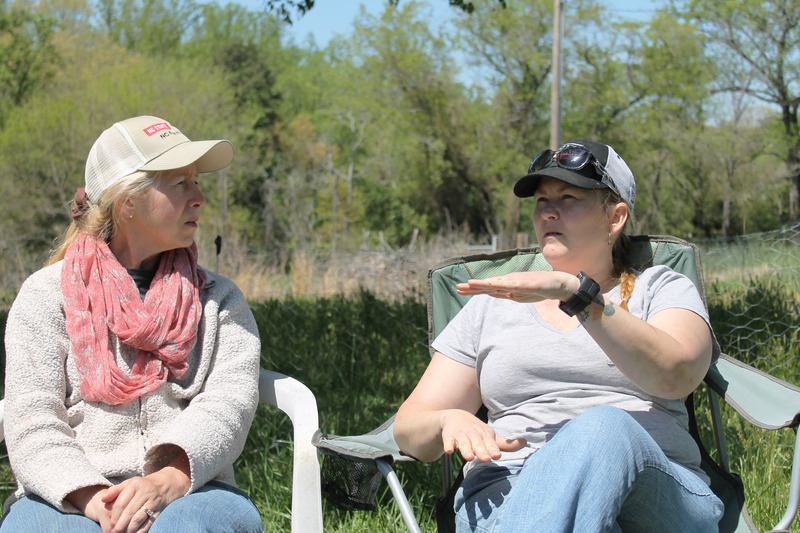 Folta and her mentor, Amy Foster of Gilcrest Natural Farm in nearby Iron Station, came to Farm School through different paths: Folta was a new farmer, while Foster had been farming with her husband and daughters for five years when she decided to enroll about five years ago. Farm School helped Foster’s family finetune their approach to farming by changing marketing and investment strategies and by helping increase the farm’s efficiency. But that’s just part of the picture: Foster and Folta both say that gaining knowledge and skills in farm business management was game-changing – and making mentorships a part of the school has had its advantages. 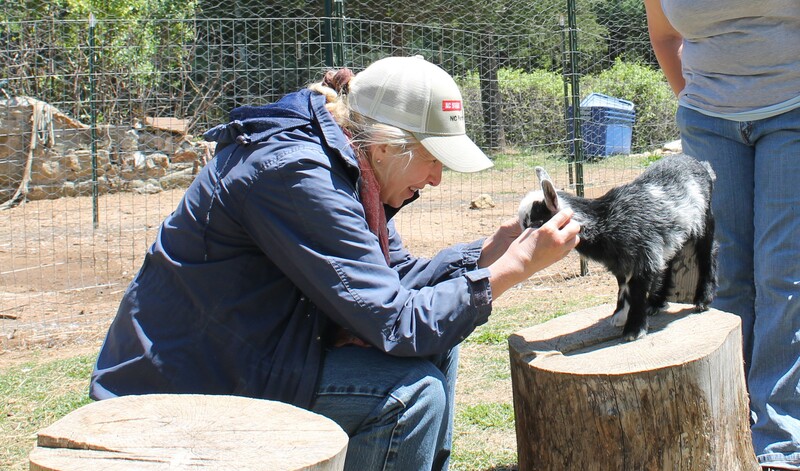 Folta says that Foster has become more than a trusted adviser, she’s also been a connector: Whenever Folta has a practical question Foster can’t answer, she helps her connect with knowledgeable farmers and others who can. “You can learn as much as you can from a piece of paper, from a book and from people lecturing, but the only way to really learn is to be out there doing things,” Folta says. She believes that by walking around the farm and talking with Foster, her learning accelerated. 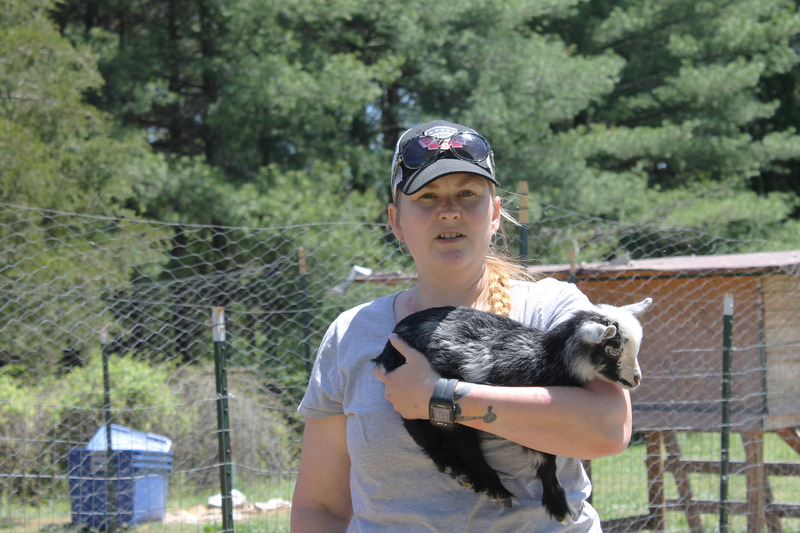 While Foster helped Folta get off to a good start with her new business, it’s not the most important thing that came about because of their Farm School experiences. Foster is now a valuable friend. They found common ground in the importance they place of pursuing their passions. Foster has, for example, encouraged Folta to resurrect her lifelong love for art. At the same time, Foster says she has also gained from the relationship. Kristi has brought back some of the things I forgot I enjoyed about farming. Want help in pursuing your farm dream? Learn more about the NC Farm School or just sign up for or our newsletter updates. NC State Extension is hard at work in communities across the state. • What's More Dishonest: Scientists Taking Corporate Cash or Mudslingers Attacking Them? • Clovers All Over: What Are the 4 H’s, Anyway?